The support of our donors allows the Michigan Sailing Team to accomplish both short-term and long-term goals! 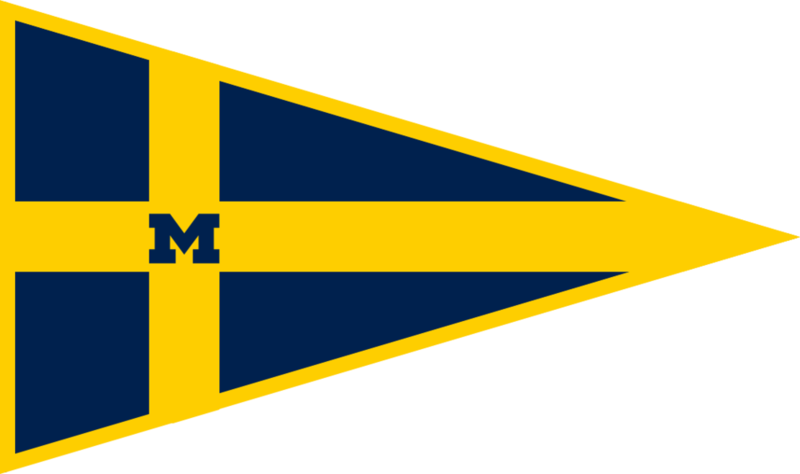 To provide opportunities and to represent the University of Michigan across a range of competitive sailing events. A close community of sailors with diverse backgrounds and skills who support each other and are competitive on a national level, leveraging both high school sailors and alumni to sustain opportunities. Most of our donations come from the help of our alumni, parents, and members of the sailing community. Our donations are used for a variety of initiatives including travel, fleet maintenance, training for national events, and more! Please reach out to us if you have any questions regarding this process! Your donations help give all sailors the opportunity to compete at regattas that range from local MCSA events to the ICSA National Championships. If you have any questions about donating to the Michigan Sailing Team please contact us! The Michigan Sailing Team has a lot of first-time sailors who we are always aiming to equip with effective gear! We have started a drysuit rental program which allows our sailors to have access to drysuits during their time on the team. If you have any gear you would like to donate to our team, please contact our Sailing Development Chair, Jake Orhan at orhanjac@umich.edu! Many events we attend do not provide housing, so we rely on our parents, alumni, and supporters to support us while we compete all across the country! Whether you can offer a night for four sailors or host a larger event, we appreciate it immensely. If you are interested in potentially hosting sailors in the future, please fill out this form and we'll get back to you within 48 hours.